As part of a Thanksgiving Day promotion, I offered to interview any of my readers or other theatre professionals. Here is the first of those interviews. Martin Blank is the author of ten plays. His new full-length dark comedy, No Rest for the Wicked, will receive a reading at the Kennedy Center in September. His full-length drama, The Law of Return, was produced at Center Stage Theater, Jerusalem, Maryland Ensemble Theatre, and was optioned for Broadway. His full-length comedy, Scenes from Life in America,was seen in New York at Ensemble Studio Theatre's Octoberfest. He has received new play commissions from the American Jewish Theater, Theatre Ariel, and the Georgetown Theatre Company and is published by Smith & Kraus. He has served as Artistic Associate for the American Jewish Theatre and American Place Theatre, New York City, as well as Literary Manager, Woolly Mammoth Theatre Company, and Founding Artistic Director, Theater J. 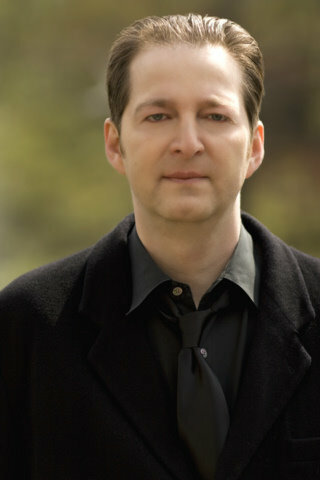 Currently, he is Artistic Director for American Ensemble Theater. He attended the University of Maryland and the Yale School of Drama. When did you first get involved in theatre and when did you know it was going to become your passion? I produced and directed shows in my living room when I was four. However, in college, I worked as a sound designer, and the tech crew did a parody of each show at the end of a run. I started writing the parodies and when I saw people doubling over in laughter, I was hooked. I actually was on track to become an economist! What was the best show you've ever seen? If you could work with anyone in the world, who would you choose? What's coming up for you this year? A new comedy, No Rest for the Wicked. A dark updated spin on Rip van Winkle, getting a reading at the Kennedy Center in September. Open forum: What do you want to say to the people out on the blogosphere reading this right now? production people are working on this show! As well as a knockout director and five hilarious actors. Six performances January 21 to February 6. Tickets are only $10!